Pull up bar with brackets each end for punch bags or TRX straps. Used in thousands of home and commercial gyms throughout the world. 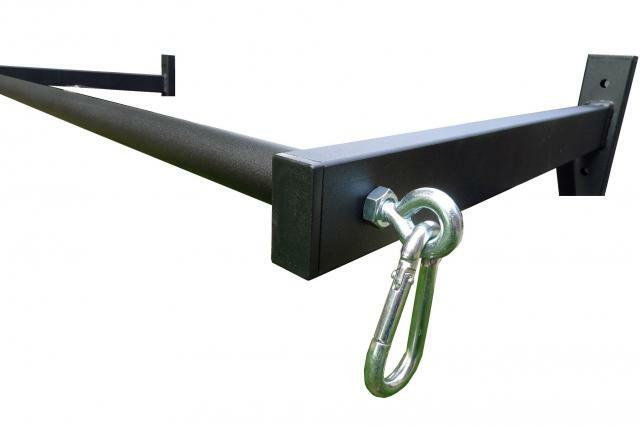 Fully welded wall brackets with a total of 6 heavy duty anchor bolt fixings. 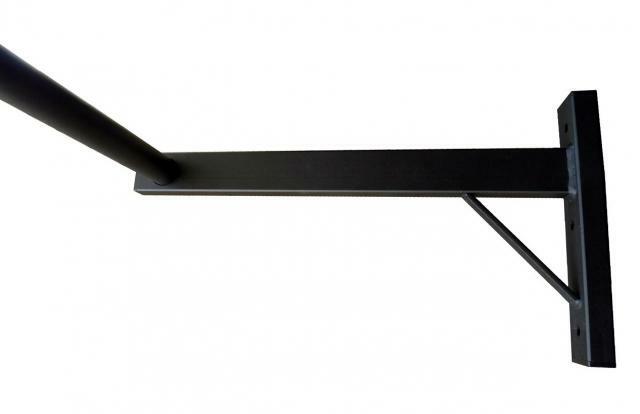 Wall brackets are 500mm (1/2 metre) long to give plenty of distance from wall. Bar is 1200mm wide, 34mm diameter, very heavy gauge steel tube. Fully powder coated so suitable for mounting outdoors. 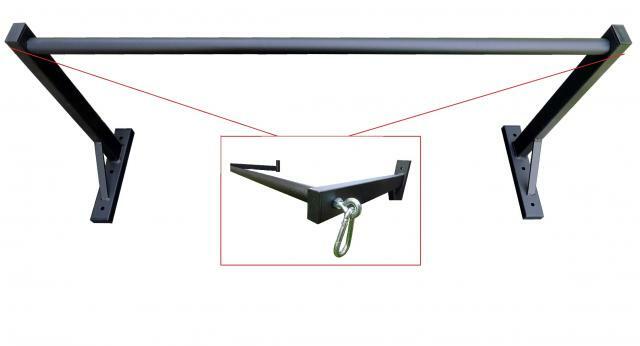 8mm eye bolts pass through the wall bracket in to the ends of the bar to fasten the bar securely to the brackets completely eliminating bar rotation.